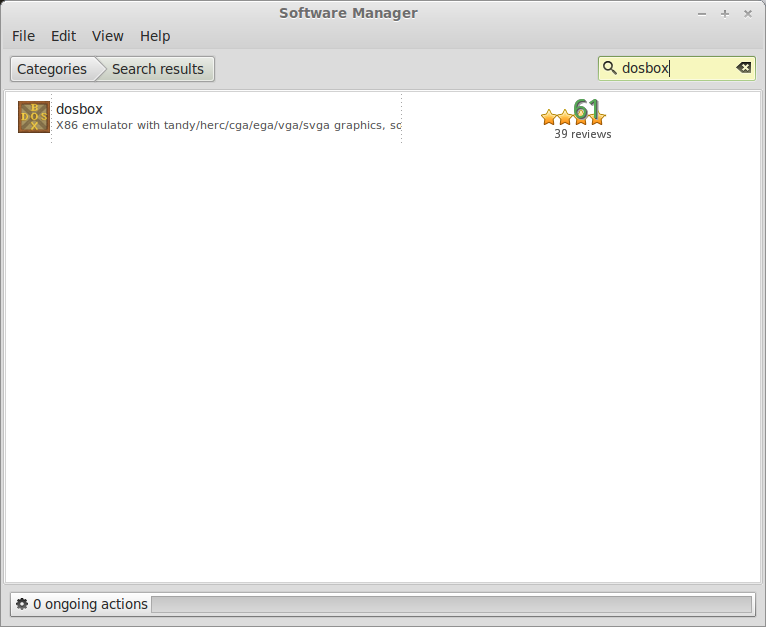 Open your Distro's Package Manager, I'm using Linux Mint. 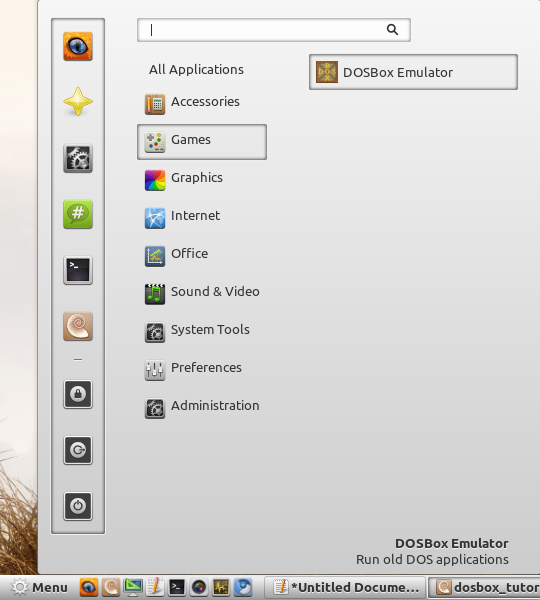 Search for DOSBox (double-click to select it). You will be prompted with a password to install it. When the installation is done a shortcut is created in your Menu under Games. To run an old DOS game you will need to setup a few things first. 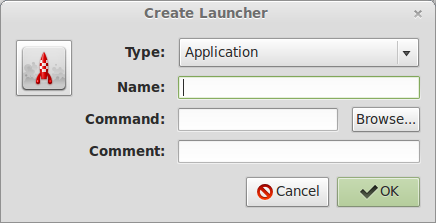 Note: make sure to keep everything lowercase for simplicity because you will be using DosBox's command line. 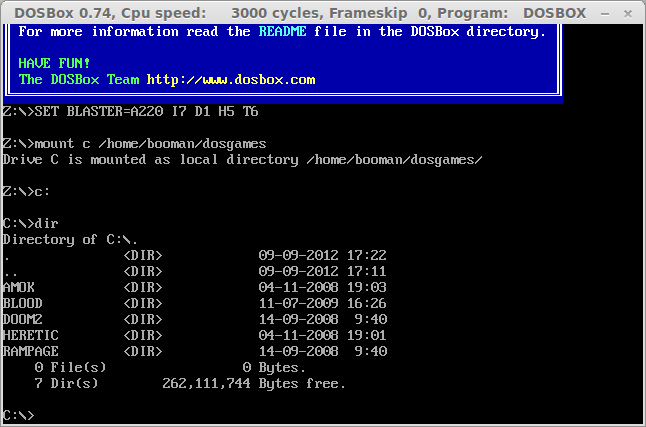 I have been running Dosbox in Windows and already have a bunch of game folders. So, I copied those into the "dosgames" folder. 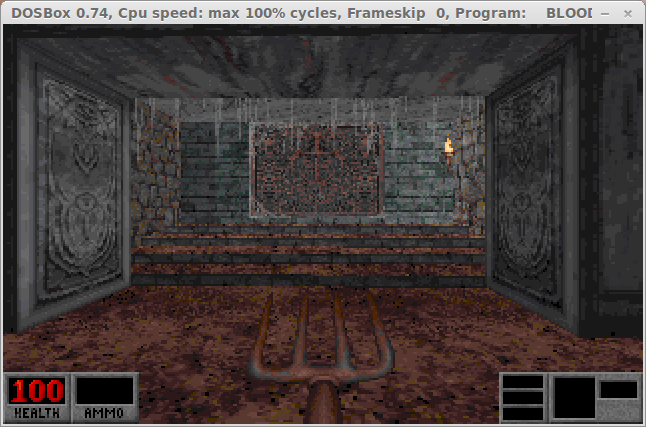 Blood should automatically run in the tiny DOSbox screen. 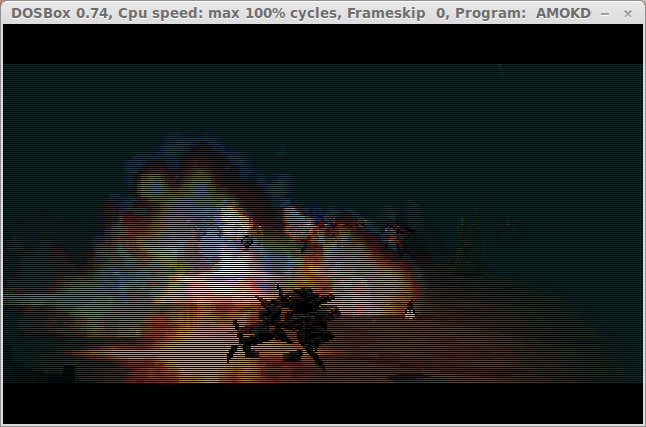 It should run pretty well on most computers, but there are some tweaks in the "conf" file that may help the frame rates. 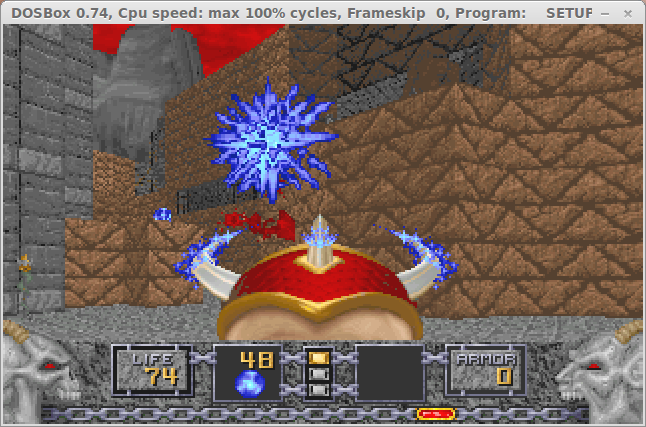 There you go, now games can run in Dosbox with Linux, but we don't want to type those commands every time we want to play a game. This conf will mount the c: drive at /home/username/dosgames, navigate to the blood folder and run the blood command for you. 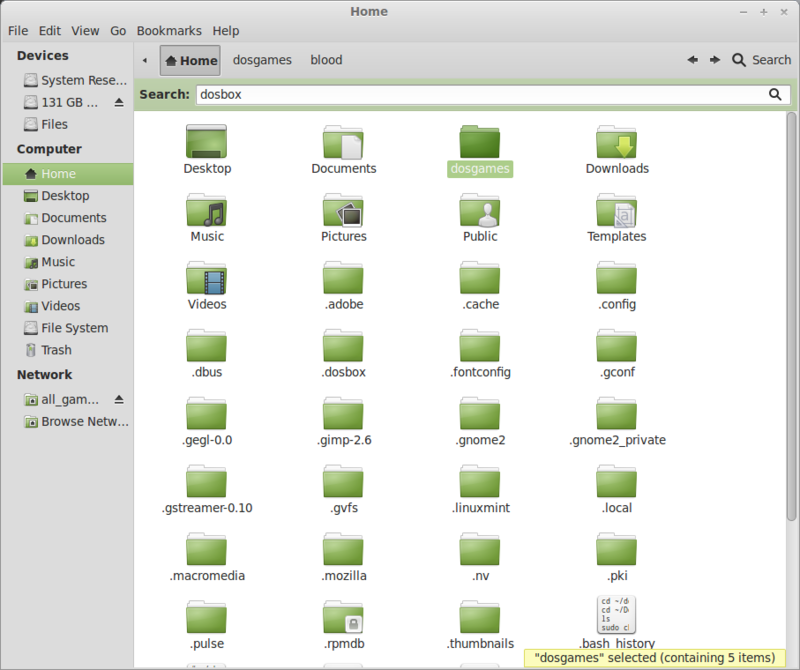 Navigate to your /home folder again (shortcut on your desktop). 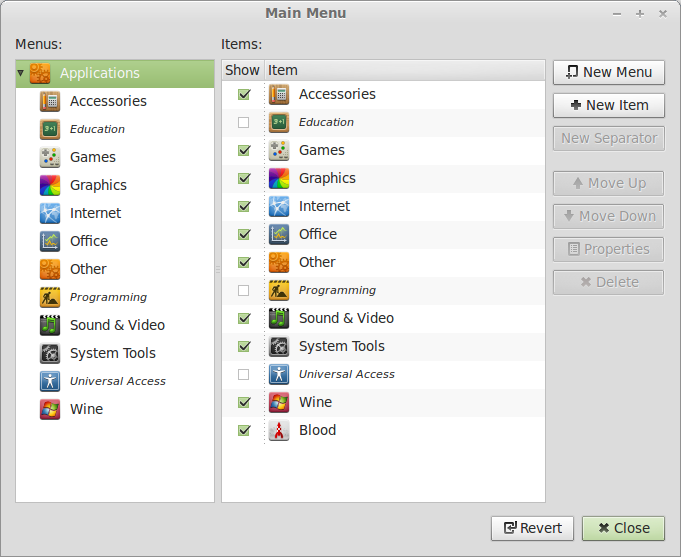 Click View menu and select Show Hidden Folders. 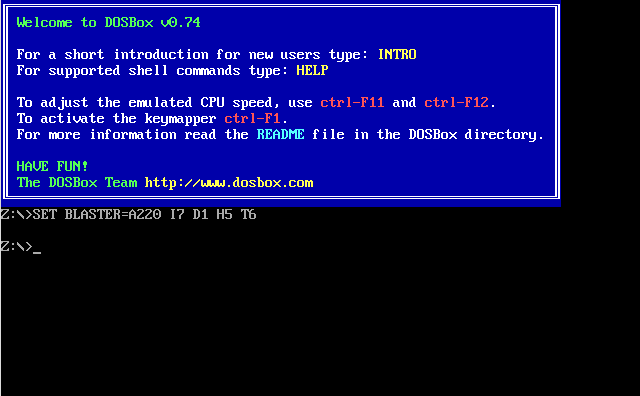 Right-click the dosbox-0.74.conf and open with text editor. This is the configuration file that will set all of your defaults for DOSbox and how it runs programs. There are some really cool features and some items that you won't use at all. Its documented really well... so read through them and play around with the settings. 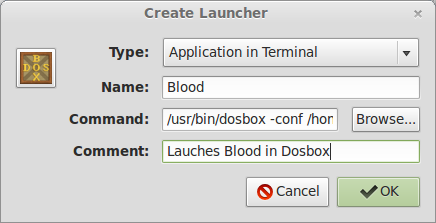 We have a customized configuration file just for Blood. Lets go ahead and create our own shortcut so we can play Blood with a simple click. Now you can drag-n-drop the new item into the games menu. Go ahead and test your new Blood shortcut with only a single click. Pretty cool. 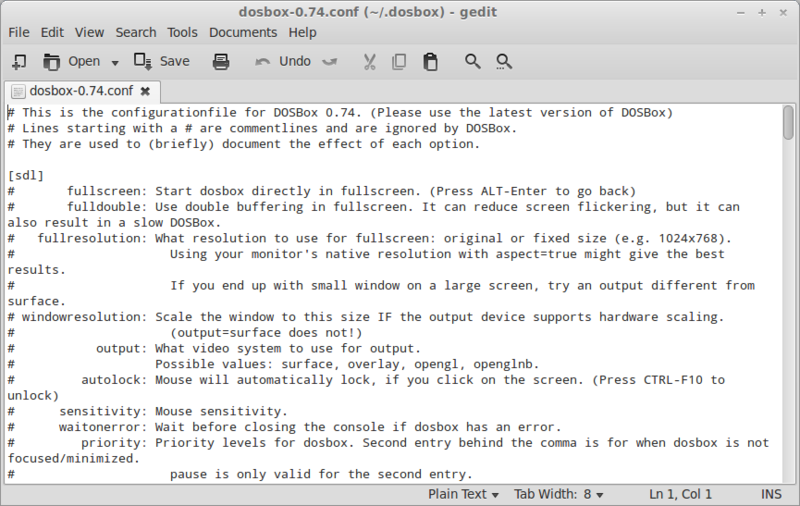 Now you can use these steps with every Dosbox game and you will have a repository of games that launch from the Menu. 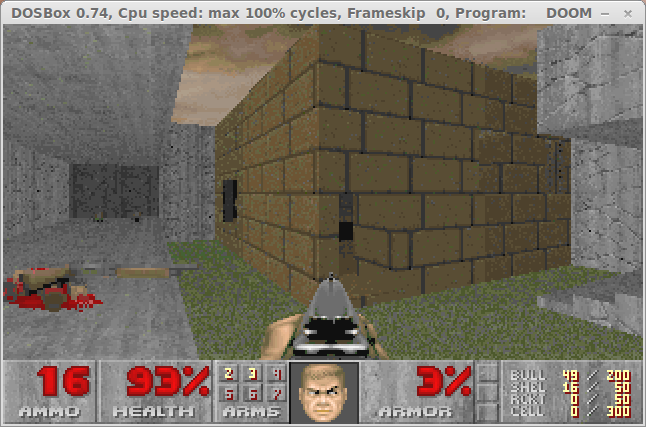 There are a lot of different sound settings that DOSbox emulates. Soundblaster, Gravis Ultrasound, Midi to name a few. 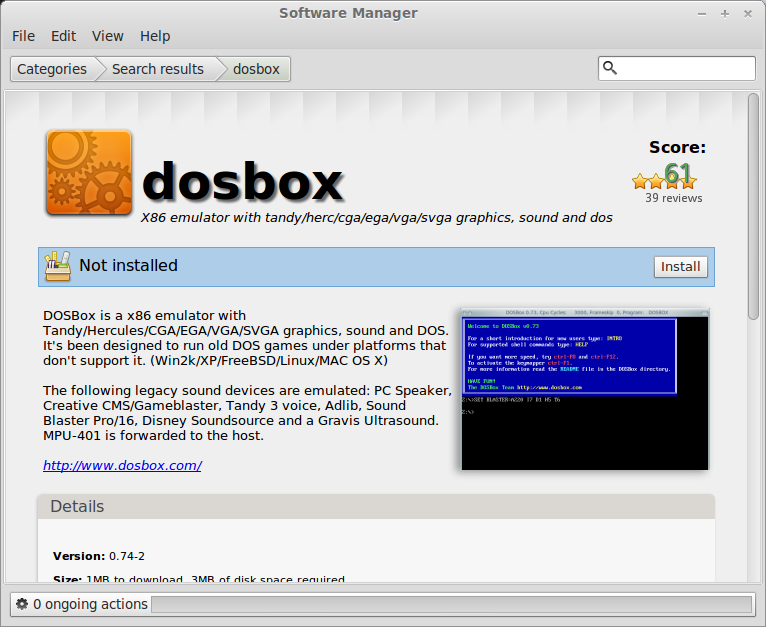 If you are not familiar with the old school hardware terminology, go to the Dosbox website. They have a lot of documentation and tutorials on how to setup most Dos games. Usually there will be a “setup” executable in the game folder that will help you setup the sound. 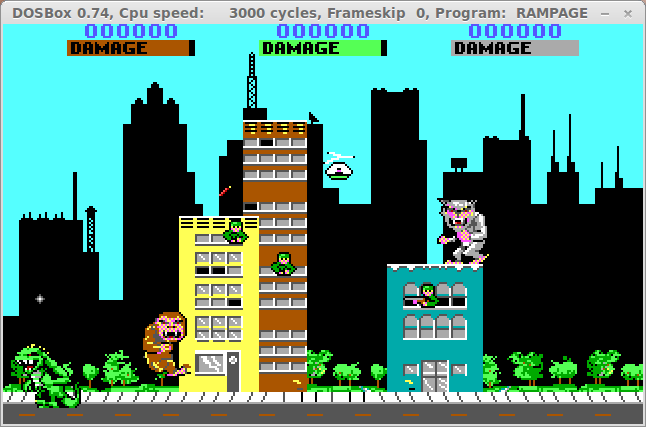 Most sound effects will be emulated with Soundblaster, Pro Audio Spectrum, Gravis Ultrasound. You may have to trial-n-error to find the right settings. Usually the music will be emulated with midi. Its pretty straight forward. Have fun with your DOS games!